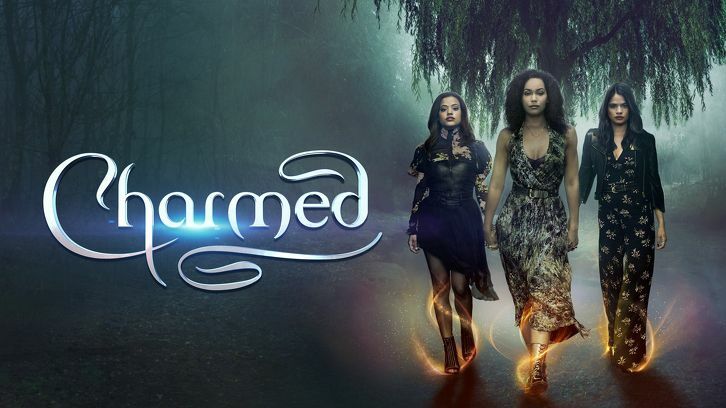 Charmed - Out of Scythe - Review: "A Satire, A Sailor Moon Wand & A Sort-of-Cole"
Out of Scythe was a very well paced episode with, interesting plot and some (un)expected twists. 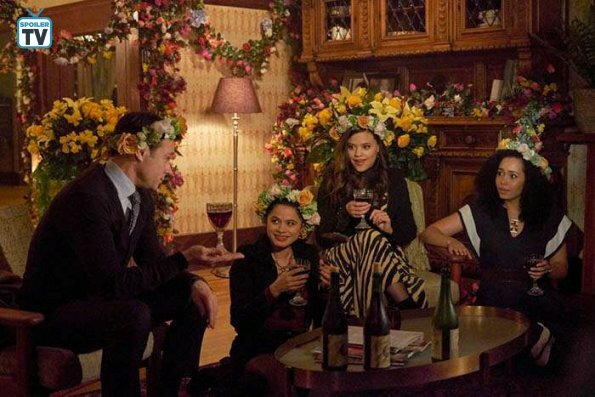 Yet, Charmed once again added up to their storytelling and delivered their best outing of the season, to date. The episode featuring the hunt for the Sailor Moon wand aka Scythe of Tartarus was written by Sarah Goldfinger and directed by Jamie Travis. Yep, Charmed is doing the Cole apparently. At the end of the episode, it was revealed that Parker is much more than just a sore sight for Maggie`s eyes. He is also is Alistair`s halfdemon son. A shadow demon put into Maggie`s life to gain intel and be one step ahead of the Charmed Ones. What I loved about this revelation is how it was layered up this episode. I was a bit suspicious about Parker, but without a proper reason. They are always faulty when they are perfect and so open with their feelings especially when he knew what Maggie like and when she does it. Storywise I wasn`t expecting them to introduce the Demonboy/girlfriend this soon but the writers aren`t sparing any time to expand their world and their stories. But back to the actual plot, during its short run, we never saw Demon`s hesitating to kill their marks and it did feel weird for the shadow demon to have not killed any of his marks and didn`t kill Maggie during their one on one. So in the general picture, the developments and reveal at the end made sense and that I really like about this part of the story. Maggie being insecure and waging the story and getting this type of focus at this moment I didn`t appreciate. Maggie was just free of Kappa and gathered great momentum as my favorite character of the series atm. So this push and pull situation with secrets and lies felt just misplaced and unnecessary. The focus on Maggie`s education was something they handled pretty solidly. Mel pushing her sister to greatness and not letting her get swallowed by the magical world and her self-doubt was sweet. The sisterly moments they delivered this week is just what makes this show work. The plot of this story really worked well. The bad guys plot of getting the Scythe and why they want it, the girls working through it and losing the Scythe eventually. A well exploited hour of television that had the right amount of intensity and just the right amount comedy with the girls meeting a Satire and Godness. Nevertheless, the episode peaked when the girls were together spilling out the secrets they were harboring for a week. The no secret policy will be broken multiple times for sure. But the honesty and connection between the girls felt honest yet still quite clunky and as expected for sort of sisters sort of strangers. Mel stepping down from her academic life is something that surprisingly turned into a good development. Mel is who she is and her point of view on life and the "male" agenda won`t change but she doesn`t have to be a part of the women`s study group to make it happen. Her being at a waitress and experience life from a different side seems like good new starting point. The spark between Mel and the thunder "goodness" Jada was certainly palpable. The whole thunder thing was a signature move of the original show`s Elders and judging by the promo, Jada could be a disgraced Elder which would make things quite interesting. While Mel was making steps down in her professional career, Macy was getting a major promotion, which dues to pay. I do enjoy Macy in awkward situations and how Madeliene acts through them. So her getting the job to fire Galvin was the perfect set up. Macy proving her leadership capabilities and avoiding letting go of Galvin was a good moment for her. What are your thoughts on "Out of Scythe"? What were the strengths and what were the weaknesses of this episode? Sound off in the comment section down below and get ready for an electrifying outing next week. . .